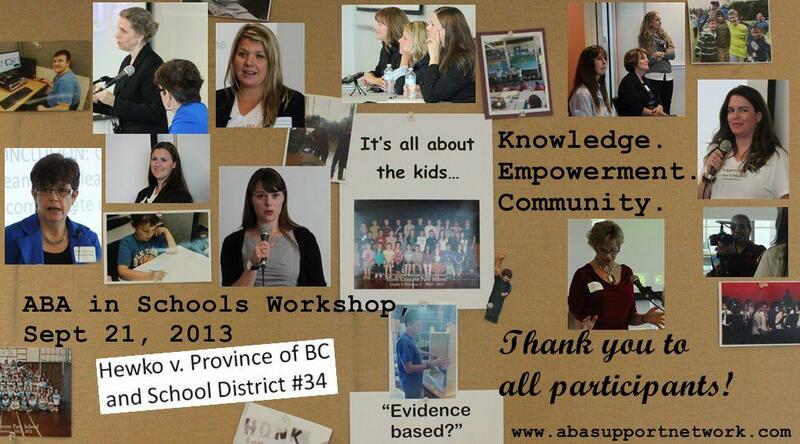 The event ABA in Schools Workshop was held on September 21, 2013. 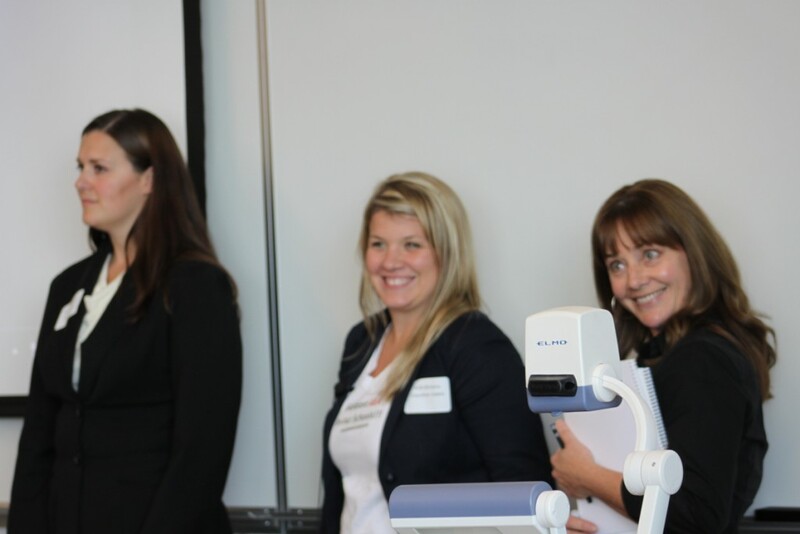 There were 100 parents and professionals from across BC who came together to learn about the current state of ABA in BC schools, and how to move forward with implementing ABA programs in their districts. Thank you to everyone that attended and especially for the valuable feedback we received. There are definitely some things that we would do differently, and we got some great ideas from the feedback forms as well. We hope that everyone that attended – educators and parents – are looking at what can be done to advance ABA support in their districts. Nancy Walton and Sharon Baxter presented the history of the ABA Support Worker designation that Surrey SD#36 has, as well as showing us how ABA in the classroom can look with support from the district. 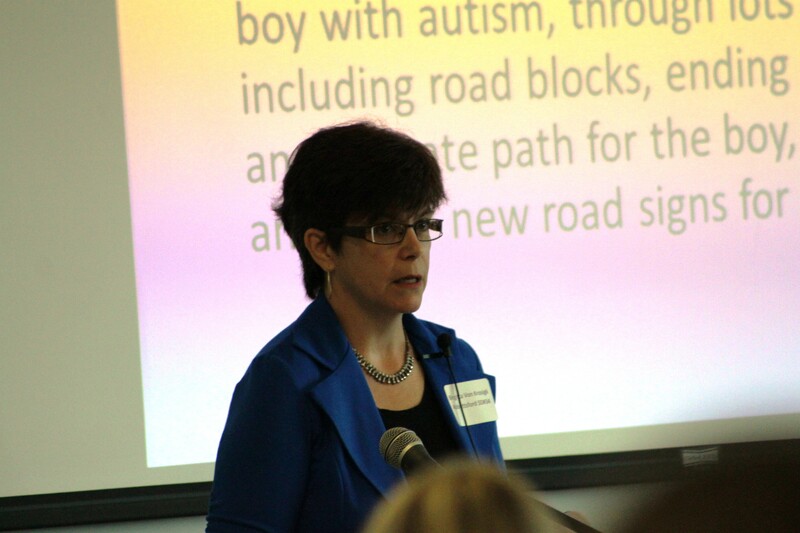 Nancy reviewed the collaboration process that parents and administration went through to establish the system of hiring ABA trained aides in Surrey. Sharon talked about how school based and home based teams can work together, and about her role as a consultant designing ABA curriculum to be used at school. Birgitta von Krosigk (co counsel on the Hewko case) walked us through the Hewko ruling and what the outcome means. She explained that parents and districts need to have meaningful consultation before any decisions are made and districts are obligated to provide an aide that is trained in a child’s ABA protocol. The ruling also states that there must be collaboration between home and school teams. Sabrina Freeman gave us a no holds barred review of the schools system landscape and how parents can use legal precedent to navigate it. Autism is a complex, neurological disorder that manifests itself in many different ways and districts do not have ABA specialists that have the training and expertise to design child specific curriculums and behavior plans. Some districts are trying to accommodate families on a case by case basis and Surrey remains the only district to have a system in place to hire ABA trained aides who become child specific. Sabrina’s talk also highlighted how systemic change is required in order to provide appropriate supports at school for children in ABA programs. Parents Deb Antifaev and Elaine Raynault from Surrey SD#36 and Jodie Wickens from Coquitlam SD#43 talked about their advocacy efforts and the state of ABA in Schools in their districts. Jodie showed us her recent experiences with advocating in SD#43. Elaine and Deb pointed out the need for continued advocacy, even in Surrey, where the staff are generally pro-ABA. Parents asked and got clarification on the process of a Section 11 complaint to the school board. In Surrey, ABA therapists/BI’s who have 1,000 hours of experience on home based ABA teams overseen by qualified consultants can be hired by the district with the designation of ABA Support Worker. 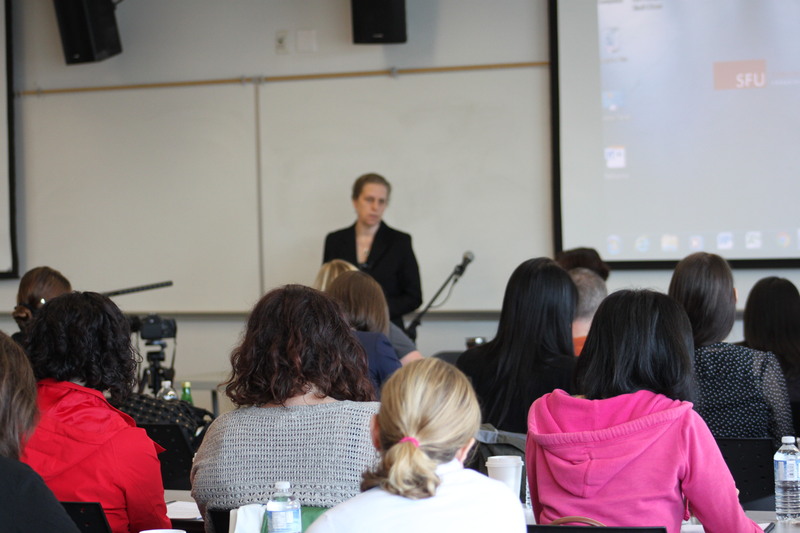 There is an ABA Support Worker diploma course at Surrey College which costs $3,500 and is a part time course run over 10 months, and ABA Support Workers are expected to take this course within 2 years of being hired by the district. In most cases, an ABA SW wants to work with a particular child, and once they take that posting they become child specific. While parents in Surrey continue to build capacity and improve the ABA Support Worker program, parents in Coquitlam have recently proposed that a similar system be established in SD#43. Leah Mumford wrapped up the day with a lively presentation about building social skills at school with Lunch Bunch programs! This was an important part of the day as parents saw through video examples how their children can be meaningfully included and how it can look in school with the right support. During networking breaks we were approached by several parents asking about forming support groups in their areas and we are working to facilitate that. Many people found the day a little long, and parents had difficulty arranging childcare for the entire day. We did consider holding the workshop over 3 or 4 evenings and logistically and financially it was not possible for us to do. THANK YOU to everyone that dedicated a large part of their weekend to attend. The materials were useful, and we will be improving on them next time based on the feedback about organization and use of the materials during the sessions. We purposefully had time set aside for networking. Some people enjoyed this aspect of the workshop and some people found that this stretched out the day without offering any valuable discussion time. We LOVE the idea of grouping attendees into breakout groups as a workshop session and can see how this would be more effective at connecting people than open networking. We are considering how we can do this via email and connect the attendees of the workshop with others who attended from their district. We would also improve the time and facilitation of question periods. Many people would have liked to hear about ABA in schools from teachers and/or administrators. This would have been particularly useful during the first presentation on the history of ABA in Surrey SD#36 and we have forwarded this feedback to Nancy and Sharon to consider for their next presentation. Dr Sabrina Freeman gave us the lay of the land based on her experiences with school. 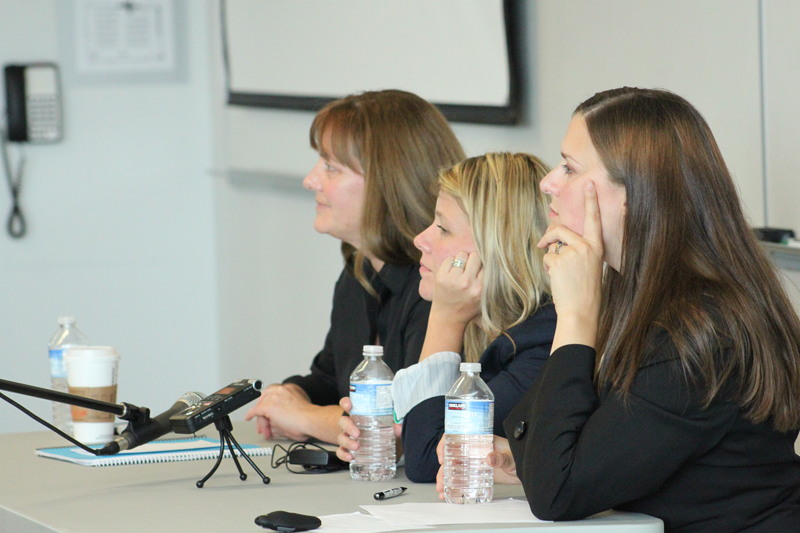 Some of the harsh realities she described disturbed both parents and educators in the room. Her experiences are a matter of public record in the Hewko case. A few attendees expressed surprise that ABA is not accessible for all children and that getting ABA programs into districts is political. 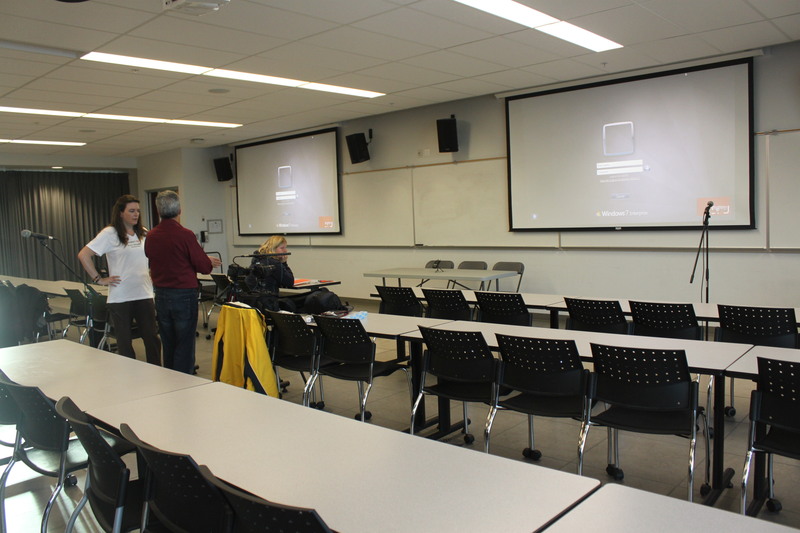 Overall your feedback was quite positive and we will continue our efforts to educate all levels of the schools system in BC about Applied Behaviour Analysis. If you would like to get connected to a parent group in your area please contact us.